Have you decided to specialize your freelance writing? I started specializing a few years ago. Our guest contributor Devon Ellington poses several reasons why the route of generalist might be the better way to go. Curiosity may kill cats, but it adds to my bank balance. One of the joys of writing is that I get to live many different lives. I’m interested in something, I immerse myself in it, and I come out knowing and caring about it. I write about it. The world is a fascinating place. Why would I want to limit my experience of it? To me, “niche” is a dirty word. It means “limitation” instead of “expertise.” I don’t have to be an expert to write well on a variety of topics. What I don’t know, I learn. I utilize HARO, university professors, and other professionals who’ve dedicated their lives to whatever I’m writing about. People love to talk about and teach their passions. When the financial crisis hit in 2007, I was in the transition between leaving my work backstage on Broadway and writing full-time, preparing to leave New York. The timing couldn’t have been worse. 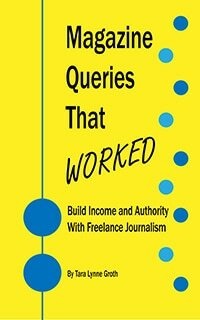 Yet, as many of my fellow freelancers panicked and wound up taking day jobs in cubicles they loathed in order to pay the bills, my freelance business grew. My markets weren’t drying up, because not only did I have a vast array of markets to which I could pitch, but I constantly expanded my “areas of specialized knowledge” — which meant I could pitch to an even larger selection of markets with each assignment. Editors with whom I worked knew I was reliable, turned in clean copy on time, had verified sources, provided fact-check sheets when relevant, and wrote in an engaging, conversational style that drew in readers. Business clients who hired me to write letters, PSAs, speeches, videos, radio spots, press releases, put together media kits and more knew that, thanks to my years in theatre, I could capture an individual, unique voice and boost it to make it sound even more alluring. Yet the advice to freelancers continues to be “find a niche and stick to it.” To the best of my knowledge, I’ve never lost an assignment because I’m able to write across multiple topics. I’ve sometimes lost assignments because I expect to be paid a fair, professional rate for my work. But most of the time, I land clients who understand that good writing is worth the price. They don’t pay content mill rates because they don’t want content mill level work. They want their business to shine and engage, and my skills do that for them. A typical day’s assignments include ghost blogging for clients such as a clothing designer, a recipe developer, and an historical society; developing a year-long marketing plan for an organic landscape company; a media kit for a film; a press release for an environmental organization; a best man’s wedding speech; a draft of a corporate training video script, a radio PSA, 1K on a my novel, and 10 pages on a play. All of these excite & interest me, and in turn, I engage those audiences. If you want to specialize in one thing you love, more power to you. But I take delight in the delicious smorgasbord of life, and I want to taste as much as I can. While earning a living. Devon Ellington publishes under half a dozen names in fiction and nonfiction. She has six novels, dozens of short stories, and hundreds of articles published under her names. She is also an internationally-produced playwright and radio writer, and worked backstage on Broadway for years. She provides a wide range of marketing writing services to clients all over the world. Learn more at Fearless Ink Writing Services and find her on Twitter @DevonEllington. Thank you so much for hosting me on the blog. A pleasure, and I look forward to other writers sharing their experiences.